DataCenter is a powerful free astrological program. Being a source of heterogeneous (heterogeneous in its structure) data, it contains astrological databases of various subjects on the basis of which it is possible to prepare thematic sets of charts and pairs of charts for use in educational and research purposes. In one place collected accumulated astrological data from Michel Goklen, Lois Rodden and other sources for decades. These data are converted into a format customary for the astrologer, which greatly facilitated their use. This program is part of the Galaxy - Astrological Tools. single charts with the indication of strength (magnitude). For example, periodic events on the change in the exchange rate for a certain period. provide a set of real rectified querent charts and their events, a total of at least 100 charts and real meaningful events (preferably on the topics of corner houses) for each chart of at least 5.
provide a set of real rectified querent charts and their events, a total of at least 50 charts and real significant events (preferably on corner houses) for each chart of at least 3.
provide other sets of real charts (or cosmograms) with a total number of at least 100 and which are not available at the time of provision in the DataCenter. Alternative proposals are also being considered. Before providing such data, it is necessary to contact the developer and find out if the data for the DataCenter is suitable and necessary. All the charts provided will be depersonalized (all names, surnames and any mention of querent are deleted so as not to disclose their data), if these data are not obtained from public sources, and on their basis, thematic data sets will be prepared for general use. The thematic sets in the description will contain information about their supplier (creator), on which it will be possible to uniquely identify the supplier in case the supplied data was invented or generated based on the data already available in the DataCenter program. Astrological program DataCenter combines many databases and sets of astrological data, providing astrologers and astrological educational institutions with a large array of data for use in educational and research purposes. integration with all Galaxy programs makes DataCenter work invaluable for all programs that operate on data, giving them decades of accumulated data. Filtering Depending on the data set, different filter groups are available, from the gender of the natal chart and the accuracy of the event, to the groups and categories of natal charts. 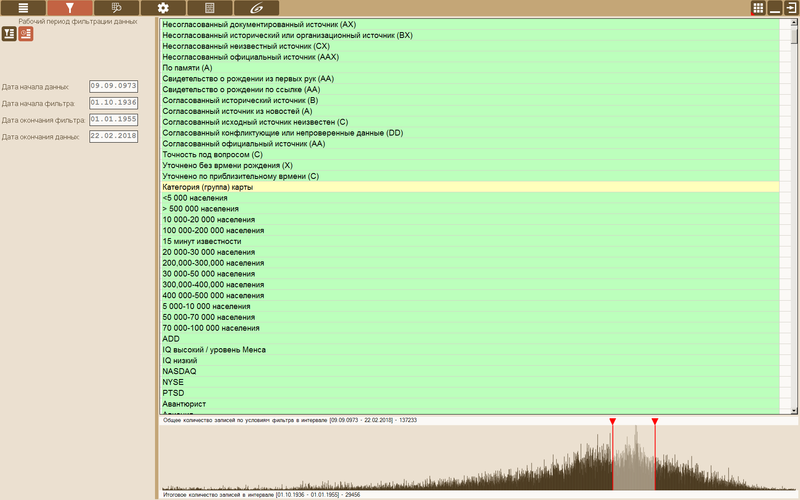 to a file for Laboratory - saves the selected records as a data set for analysis in the Laboratory analysis program. 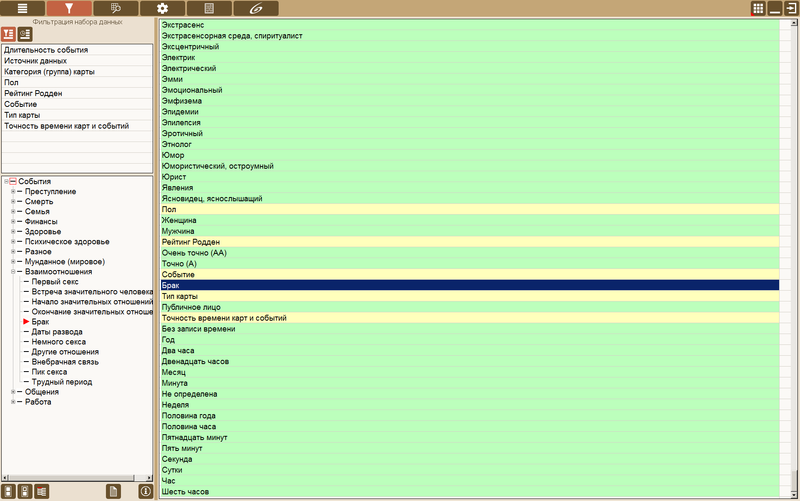 all selected conditions are displayed in the expanded list. This makes it easier to monitor the specified filtering conditions. Since there can be a lot of data, the program can limit the output set to a time frame. In addition, the graphical representation of the available data allows you to see in the grouped form (by year and month) how these data are distributed by period. Received, as a result of selection by means of filters, the data can be manually selected and prepare the result set in the form that an astrologer needs. The selected and prepared set can be saved for further work in the Galaxy database and in the analysis kit for the astrological program Locator. 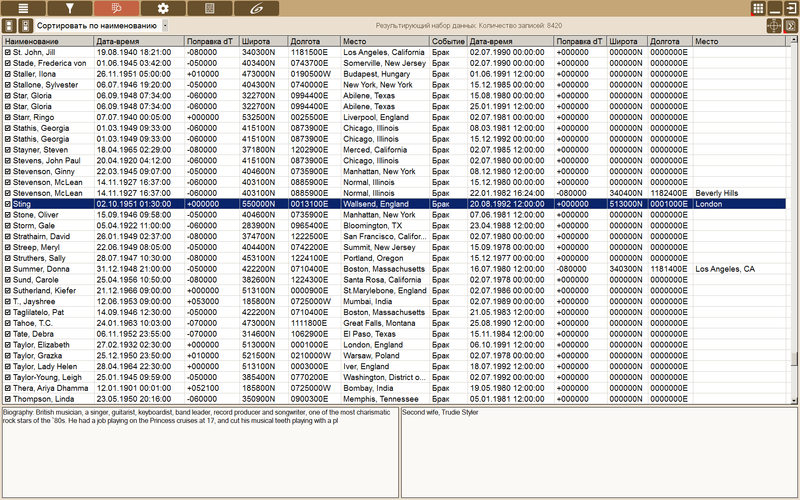 Among the charts stored in the database, you can perform a more detailed search using the astrological program DataFinder or export it to other available formats through the DataWorker program. 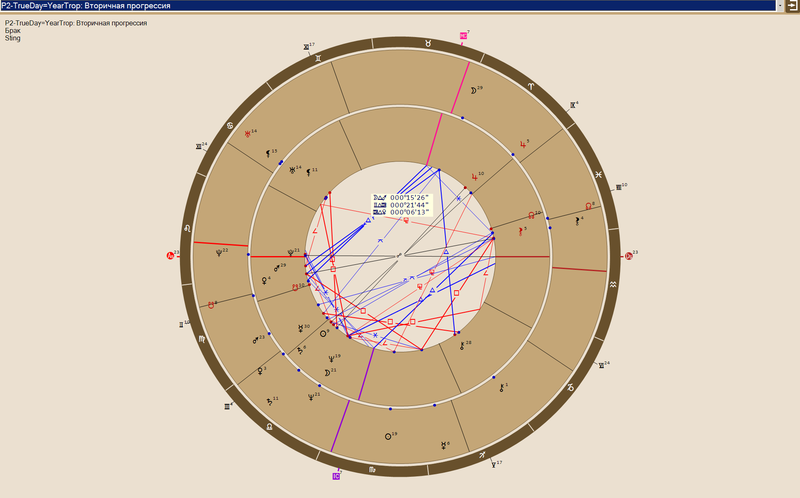 Depending on the group of the data set, the program can view charts or pairs of charts using astrological tools. 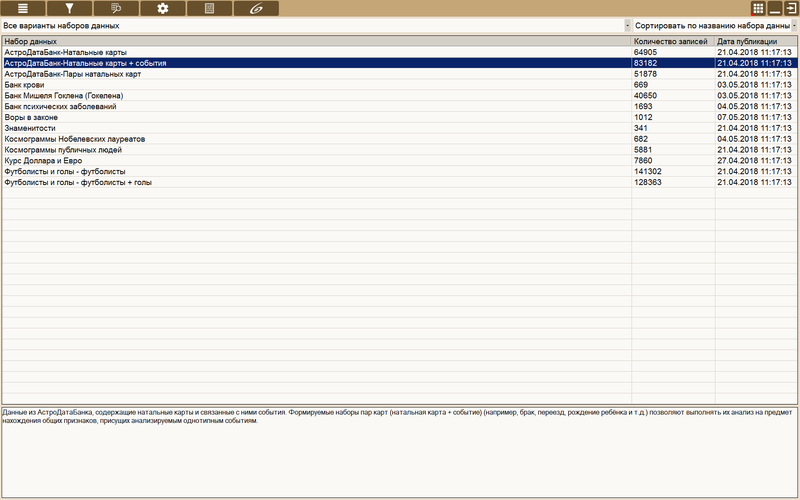 This will allow you to instantly assess this or that chart without loading it from the database or entering data on it.